Teachers rally at the state capitol during the teacher walkout. 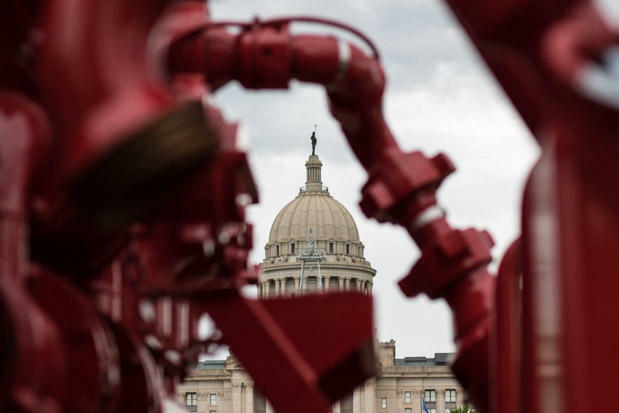 Service companies parked oil-field trucks and other equipment at the state capitol in a public demonstration as legislators debated a measure that would effectively increase taxes some oil and gas producers pay. Energy companies were front and center at the state capitol last year as lawmakers signed off on hiking oil and gas production taxes to help fund a teacher pay raise. And while the latest revenue estimates lawmakers will have a $612 million budget surplus to spend on agencies in the 2019 legislative session, some still think gross production taxes should be increased to make up for years of shrinking spending on state government services. Oklahoma’s oil industry is already making the case to legislators that they should look elsewhere for government funding — and seek laws that maximize drilling and minimize any barriers to increasing production. Crude oil prices hit a four-year high in October 2018 at around $76 per barrel. After that, U.S. crude took a nosedive and is now trading around $46 per barrel. Environmental groups are pushing for stronger pollution controls and limits on industry, including drillers and agricultural producers. Water could be a focal point as drilling and farming activities increase, and the southeastern part of the state is making new legal moves to thwart Oklahoma City’s plan to pump water out of the region to meet its growing needs. One sign of governor-elect Kevin Stitt’s position on environment policy in Oklahoma: He named Kenneth Wagner to serve as his Secretary of Energy and Environment. Wagner is a senior official at the U.S. Environmental Protection Agency with a close personal and business relationship with ousted EPA administrator and former Oklahoma attorney general Scott Pruitt. President of the Oklahoma Education Association, Alicia Priest, says teachers are frustrated with lawmakers for not doing their jobs. Twenty-eighteen was a chaotic year for Oklahoma public schools. There was the political struggle to get teachers a pay raise, which eventually happened, but thousands of educators across the state still staged a nine-day walkout to pressure lawmakers to raise more revenue for public schools. Lawmakers refused to give schools more money last legislative session, and those teachers haven’t forgotten. 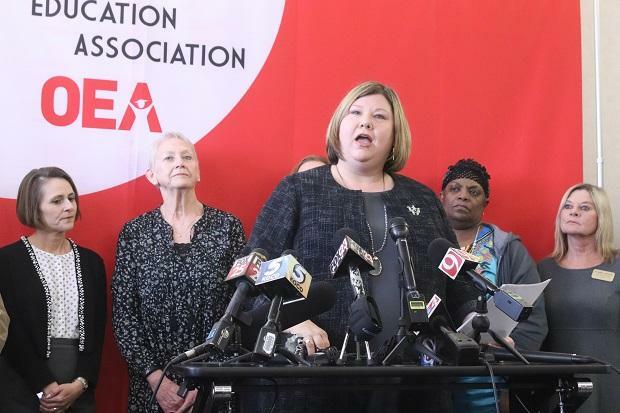 “While 2018 was a step in the right direction, work remains,” said Alicia Priest, the president of the Oklahoma Education Association, the state’s largest teachers union. The OEA wants lawmakers to boost school funding by $400 million in 2019. The Oklahoma State Department of Education has requested a similar increase. Many lawmakers agree schools need more money, but some argue further funding increases should follow other reforms like district consolidation. On the campaign trail, Stitt said boosting teacher pay is a priority, but he also talked a lot about changing the way state dollars are distributed to schools. It’s unclear what those changes would look like, but what is clear is that school funding will top the legislative agenda again in 2019. 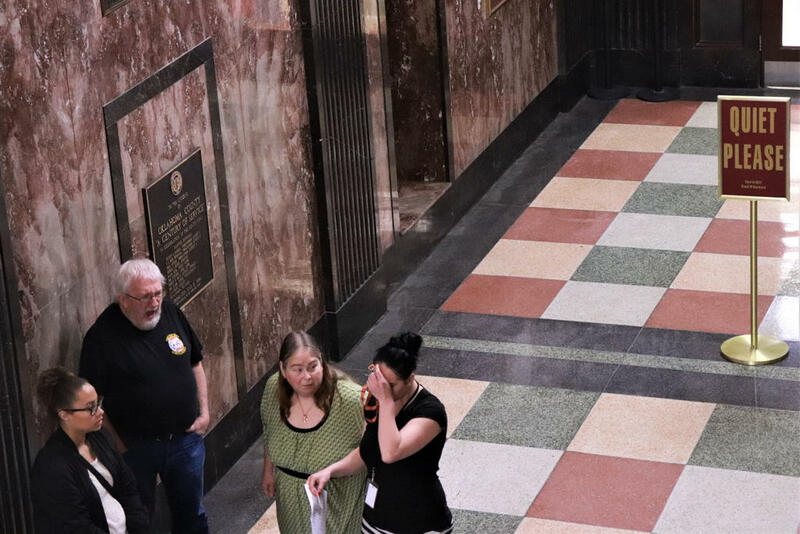 A group of people stand outside a courtroom at the Oklahoma County courthouse. There are three major items you should watch for this coming Legislative session. First, state lawmakers are still considering ways to reduce the number of people sent to prison — and the number of years they’ll spend behind bars. Expect to see new bills for reforms that couldn’t draw enough support to survive past legislative sessions — an effort fueled largely by an ongoing movement to change the way the state treats people who commit crimes. Department of Corrections Director Joe Allbaugh also expects a debate over how much funding to give state prisons. There most likely will also be a debate over how much funding to give the Department of Corrections. Second, the U.S. Supreme Court has made it unconstitutional to set mandatory life without parole sentences for juveniles. That decision applies to Oklahomans convicted of murder as teens before the court made its ruling. Oklahoma lawmakers are considering new legislation to reset punishments for multiple prison inmates. Lastly, because Oklahoma can’t source the conventional drugs it’s relied on for lethal injections, state prisons plan to use nitrogen gas inhalation to execute death row inmates. The controversial and experimental method was written into law by a past Legislature — and the new protocols are likely to be challenged in court. 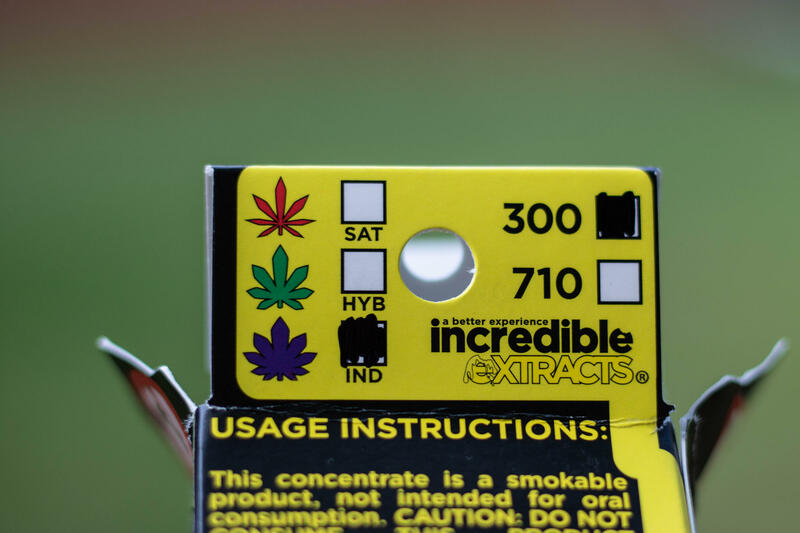 States have different rules regarding in packaging for medical marijuana products. Rural hospital closures grabbed headlines in 2018, and legislators are more aware that access to health care is a problem for many Oklahomans. Expanding Medicaid became a talking point during the governor’s race as a way to help struggling rural hospitals and get more people health insurance. Oklahoma has the second-highest uninsured rate in the nation. Governor-elect Stitt is not in favor of Medicaid expansion, but Democrats have promised to raise the issue, which may push the Republican party into taking a position. Right now there are no testing or labeling requirements for medical marijuana in Oklahoma. A joint, bipartisan working group met in the fall to write recommendations on testing and labeling that lawmakers are expected to take up when the 2019 legislative session starts in February.